Cleaver’s Shearing has been servicing the shearing needs of greater NSW since its inception in 1949. Since then, Cleaver’s Shearing has become synonymous with experience, reliability and professionalism. • Teams available for travelling or campout • We travel anywhere! Cleaver’s Shearing was founded in 1949 by Ray Cleaver. Ray had many clients scattered across NSW. His mainstay was the Pye Family group of properties who would shear around 100,000 to 120,000 sheep per year. The 1950s saw the wool boom, with sheep numbers increasing and the strike of ’56, making labour hard to find. Ray battled through this and in the ’60s, the shearing industry became a bit more stable. Ray Cleaver with the head of one that didn’t get away! Ray was joined by his son, Brian, and together they built up a very good business, servicing clients over all areas of NSW; many of whom are still clients to this day. Ray retired in 1975 and his golden years was spent mostly on the Barwon River, chasing the elusive “Big One”. Brian, after taking over the business, set about setting up a large client base shearing upwards of 400,000 sheep per year in the years 1987 to 1991. 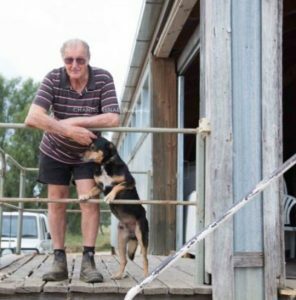 Brian has seen many changes in the shearing industry; wide combs, female workers and the end of the reserve wool price have had a great impact on the industry. The wide comb dispute lasted for 6 months, pitting mates against mates, and families divided on the pros and cons of their viability. These events changed the style of the shearing industry forever. 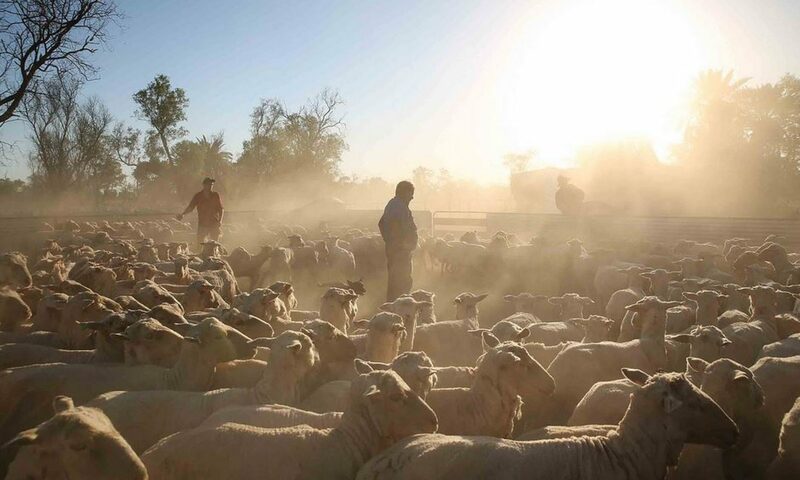 Since the early ’90s, falling wool prices, reduced sheep numbers, and drought have had a big influence on the industry. Brian continues to carry on the business, started by his father, to this day and has a good and loyal team of workers, both male and female, servicing the shearing needs of a large area of NSW. • Providing a safe and healthy work environment. • Developing an OH&S Policy and Emergency Program. • Consulting with employees and others in workplace. • Implementing a training schedule. • Hazard identification and assessment process. • Developing and implementing risk control measures. • Promoting, maintaining and improving strategies in the workplace. • Provide a safe and hazard free workplace. • Provide information, instruction, supervision and training to enable employees to perform their duties so they are not exposed to hazards. – Storage area for tool boxes, clothes, etc. • Provide safety and protective gear (goggles, back aid supports) as required. • All plant to be isolated or guarded. • First Aid kit located in shed, fully stocked for injuries only (not for everyday use). • Supply fire extinguishers suitable for all types of fire. • Provide accommodation of a suitable nature clean and tidy. • Provide kitchen and dining room fully equipped to be a designated smoke free area. • Showers and toilets in clean and tidy condition. • Ensure health and safety of visitors to workplace by not exposing them to risk. • Unlawful for employer to dismiss employee for making complaints about health and safety matters or being a OHS representative. • Minimum payment to be Federal Pastoral Award. • To commit to a safe and healthy workplace. • Put in place OH&S training and education. • Work methods evaluated and try to improve. • Advise employees on safety rules. • Workplace inspection evaluation and feedback. • Reporting of injuries, accidents and record keeping. • Make available information for employees and others. • Ensure managers and supervisors implement this policy and program. • Managers and supervisors to be accountable for their responsibilities. • To ensure their own health and safety. • To avoid affecting health and safety of others through any act or omission at work. • To comply, so far as they are reasonably able, with any instructions given for their and any others health and safety. • To use any protective equipment provided, when requested, in the manner they have been instructed. • To report any hazard, injury or accident. • Consider some warm-up exercise before commencing work. • Regular intake of fluid is recommended. • Always wear appropriate footwear and clothing. • Smoking: Consider others in workplace. • Alcohol and non-prescribed drugs are not allowed in workplace at any time. • Consider health and safety of others in regards noise. • Work hours are as stated in Federal Pastoral Award. Does your Shearing Shed meet OH&S requirements? Cleaver’s Shearing are the Shearing OH&S specialists; and can supply and fit all of the above. We also do Risk Management and On-Farm Assessment. Ask us about our full OH&S Farm Kit to assist your business in implementing a practical, plain Language OH&S Policy.